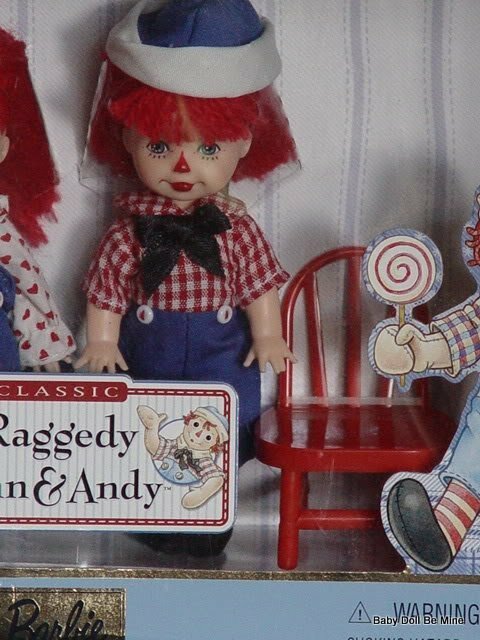 Raggedy Ann and Andy are from Barbie’s Collectors Edition and feature Tommy and Kelly as Raggedy Ann and Andy. 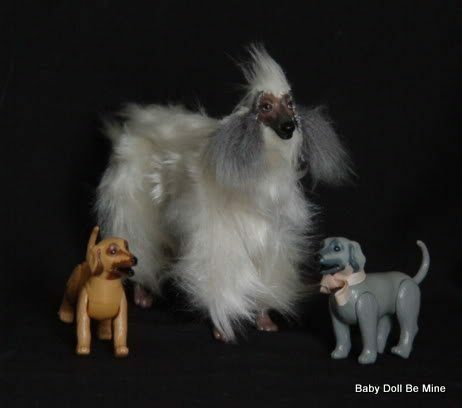 Kelly and Tommy are about 4-1/2 inches tall and have red yarn hair true to their characters and blue painted eyes. They even have painted red noses! They are dressed in the traditional costumes for Ann and Andy all the way down to their red and white striped socks. They also come with two of the cutest little red chairs. 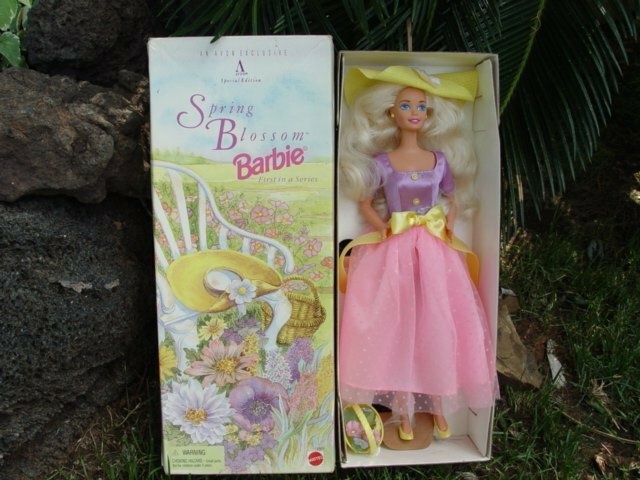 The back of the box says “Way up in Grandma’s cozy attic, a little girl named Marcella finds an old rag doll. 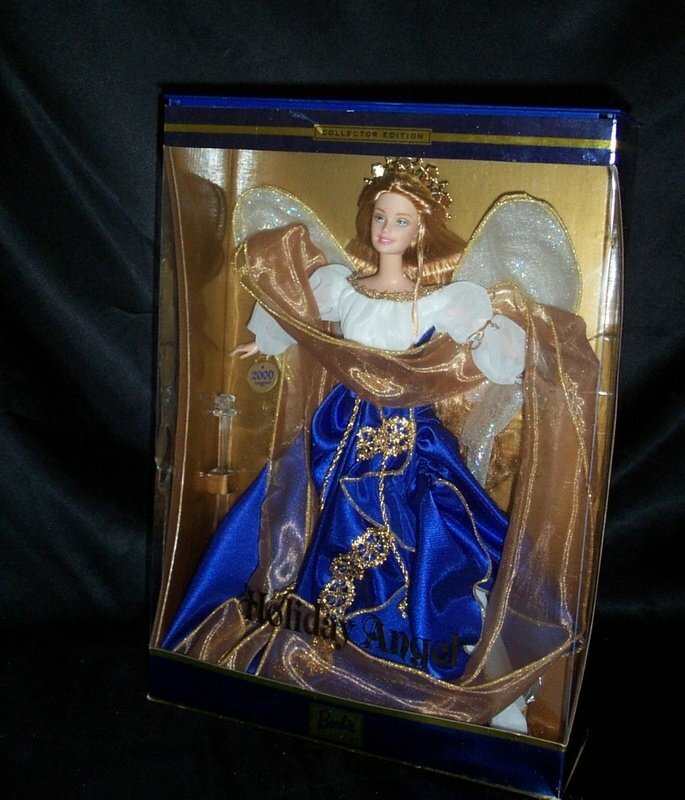 Marcella loves her right away and puts her with her very special dolls. So begins the adventures of Raggedy Ann. The lovable rag doll is later joined by Raggedy Andy. 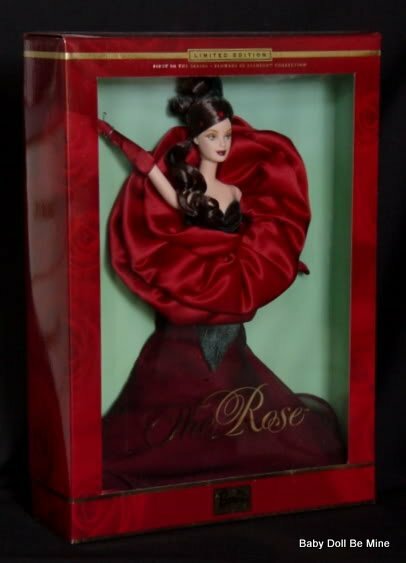 Through their love for each other and their friends, they teach the value of friendship, kindness and generosity. Raggedy Ann stories, first published in 1918, was soon followed by books with Raggedy Andy. Their adventures were created by a gifted cartoonist, Johnny Gruelle who was inspired by his own daughter’s devotion to a rag doll. With great sensitivity and imagination, Gruelle captured a child’s world of make-believe that has charmed millions of your readers for generations. 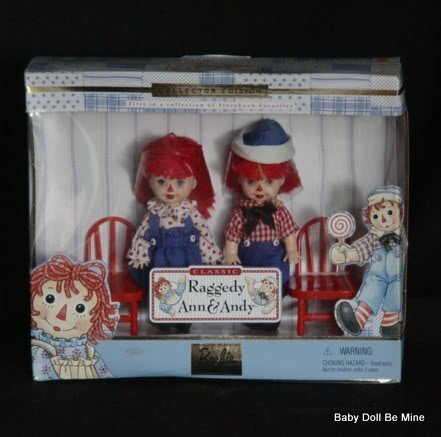 Raggedy Ann and Andy are sure to capture your heart with their real yarn hair and delightful Raggedy faces.“ This is the first in the collection of characters from classic children’s literature and are from 1999. 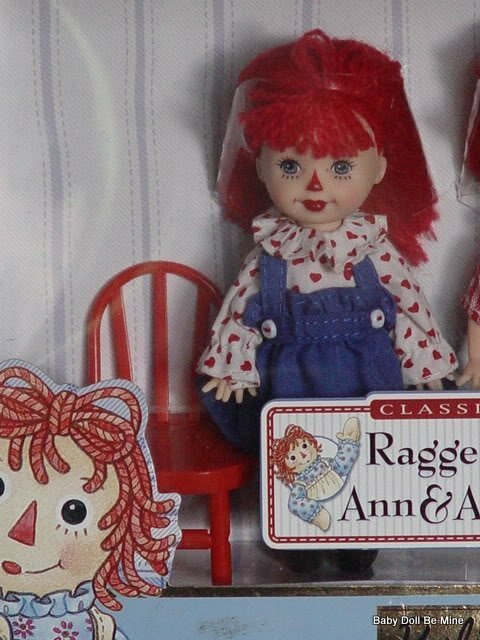 Raggedy Ann and Andy have never been removed from their box.